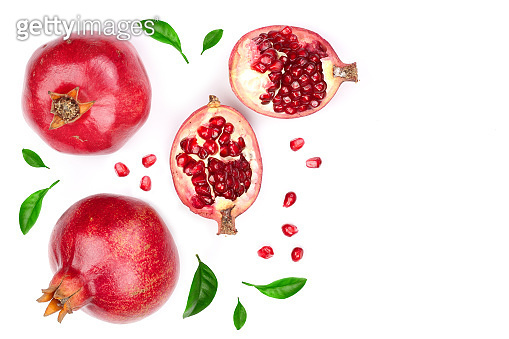 pomegranate with leaves isolated on white background with copy space for your text. Top view. Flat lay pattern.